Long-lasting, salon standard results without strips – just wax on and wax off! 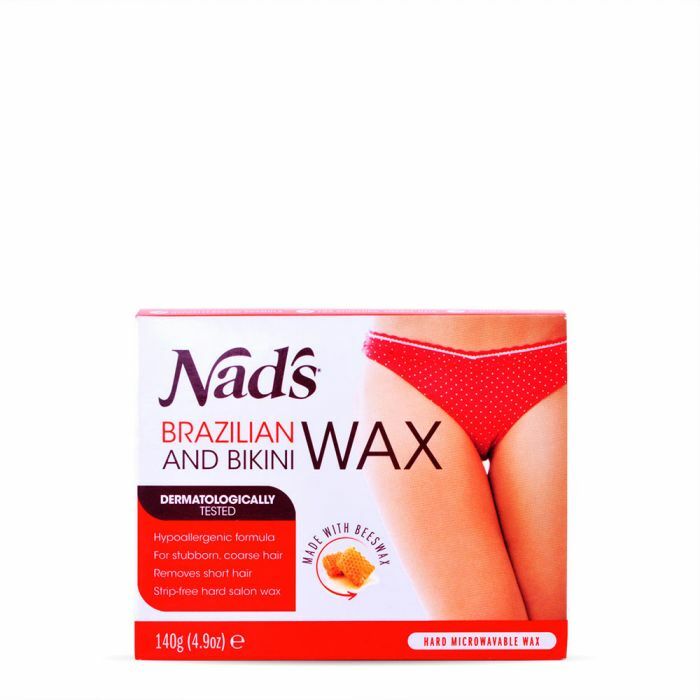 If you want the beach ready bikini line you see in movies but want to avoid an awkward, legs akimbo trip to the salon, then the Nad’s Brazilian and Bikini Wax is your solution! The delicious smelling peach and mango wax is formulated to be kind to the skin on your intimate areas, whilst providing effective and long-lasting hair removal of even short, stubborn hairs. Through research, Nad’s knows that strips can get in the way when waxing your intimate areas and they don’t always help things along, so they have developed this special formula that requires no strips! Simply put a thick layer of heated wax on your desired area, leave for 30 seconds and remove in the opposite direction to hair growth. Afterwards you can use the Nad’s Post Wax Calming Oil Wipes to remove any waxy residue and give your delicate area a little TLC. And that’s you; swimming pool, beach or bedroom ready! Nad’s Brazilian and Bikini Wax works best on hairs from 3mm in length, so no more waiting until you look like a caveperson to wax them again! Includes: 1 Brazilian & Bikini Wax 140g, 4 Bikini Shapes, 2 Wooden Spatulas, 1 Precision Shaping Sticks, 3 Post Wax Calming Oil Wipes.